The fall-winter 2015-2016 is the time when over the knee boots have a major comeback. Actually, maybe it is not actually a comeback because they in fact did not disappear for good among the trends. No matter the favorite color (black, brown, silver, grey), the over the knee boots have returned into the attention of all fashionistas. Basically, it is recommended to avoid wearing the over the knee boots with very short dresses or too tight ones because you will get a vulgar look. The bright side is that there are many models, perfect for all tastes and outfit combos. They are exceptional when it rains or snows and you can pair them with many pieces of outfit from different clothing styles. This type of boots should be highlighted properly. Therefore do not wear them under the pants or maxi skirts. Choose a pair of skinny pants, short skirts and dresses, or even denim shorts. This type of boots is not only sensual and very chic, but also very comfortable, especially if the heels are not very high, of course. This aspect is essential especially if you have to stand a large part of the day. Interesting is the fact that in general the comfort is not characteristic to the elegant footwear. We have to admit that. Still, over the knee boots, if they are well chosen can be extremely comfortable because they offer you a lot of support to the leg. Bear in mind that versatility is another quality of over the knee boots. 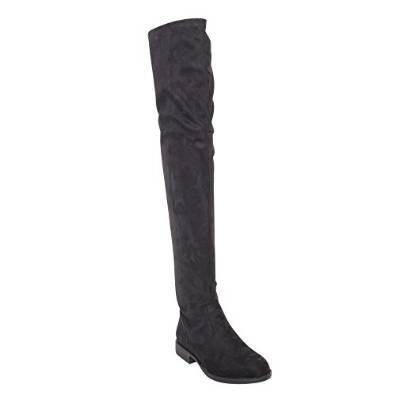 No matter why you appreciate this type of footwear, a pair of over the knee boots can be very useful.